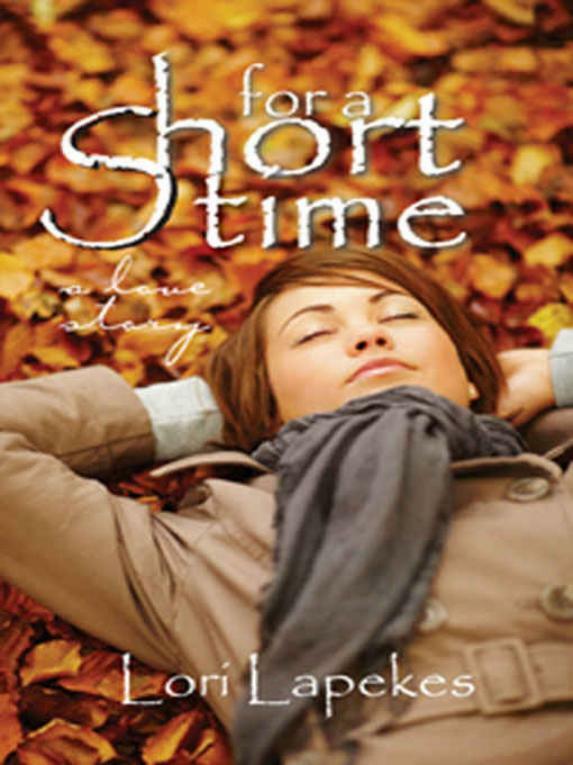 Tuesday’s Revolving Book is the contemporary romance FOR A SHORT TIME by LORI LAPEKES. BUY IT ONLINE: ONLY $.99 ON AMAZON KINDLE! That should be 30-year old Keri Ferrita’s motto. Have you ever known a “chameleon?” Is there hope for Keri Ferrita, who, (mostly) unknowingly, IS one. Keri has no idea who she really is anymore. Raised in the Midwest, where catching frogs and shoveling manure was common practice, then spending several adult years traveling the country and hob-nobbing with celebrities and the elite, Keri has finally returned to her roots. She now lives in her sister’s basement, wondering just who in the heck she really is anymore. After a peculiar meeting with the Quinn cousins, Keith and Jeremy, Keri becomes determined to capture Keith’s attention. Keith is an actor, a tall, compelling man, elusive, even abrasive at times, which makes him particularly intriguing to a woman like Keri who has been accustomed to capturing the heart of any man she’s ever wanted. Yet it was Jeremy, the humble cabinet-maker in the woods, who’d actually leaped into a bon-fire to rescue a scrap of an old coat for her that had sentimental value. But Keith is handsome, mysterious, and obviously hiding secrets. He is a challenge. Jeremy is down to earth, and talented. He plants flowers and vines. He has a misshapen, possibly a “ghost-dog” named Scalawag, and has built a secret room in his house. He is interesting, but also—short. Maybe better suited for Keri’s friend, Darci, who could stand to date a caring, stable man to help with her troubled son, Nathan. Following two episodes with the facial disorder, Bell’s Palsy, and after Jeremy’s decision to move out of state – possibly to run from his heartbreak over her – Keri finally decides not only who she really is — but who she needs to become. Born in the small town of Wayland, Michigan, Lori has been writing since she was about 0 years old. Hand-printing, illustrating, and stapling together pages to look like real books, Lori created such oddities as, “The Mystery of the Old Silo,” and “Skull Mansion.” Raised in the country with goofy siblings, a few strange neighbors, and many animals, Lori has cemented her own “quirkiness” through a series of unusual factory jobs and a two-year stint in art school. Presently she is working as a graphic artist, while at long last realizing her seemingly impossible dream of becoming a published author of what she calls “off-beat, Midwestern novels.” Acknowledging that most people who hear voices in their head are called schizophrenic, she knows when those voices are put onto paper, assigned names and given personalities, these people are then labeled–writers! Lori believes her novels will resonate with people from both coasts as well as what some may unwittingly call fly-over country. Lori now lives back home in her small town of Wayland, along with a German shepherd named Madeline, and a three-footed kitten named Tippy.